One way to lessen the stress of recovering from storm & hurricane damage in Indiana is to call a full-service disaster recovery contractor like Stash Property Restoration. Instead of attempting to coordinate repairs from numerous contractors, let us manage the process from start to finish. 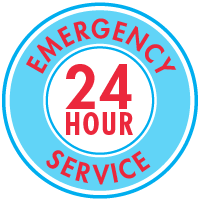 We have emergency response crews available 24/7 in Portage, Lake Station, Chesterton and nearby. Our experienced technicians will work efficiently and thoroughly to get your home and your lives back to normal. Complete water damage recovery. We can remove water-damaged material that can’t be saved and use hi-tech drying and dehumidification equipment to restore everything else. We provide expert water damage restoration services in Indiana. Safe, thorough cleanup of septic system or sewage spills is also part of our restoration capability. Get your home and your lives back to normal quickly following a natural disaster. Contact Stash Property Restoration for complete disaster restoration services, including wind damage restoration, water removal and more. We provide fast, written estimates for storm damage repair in South Bend, Gary, Cicero, Valparaiso, Berwyn, Orland Park, Lemont and nearby areas throughout Chicagoland and Northwest Indiana and many other parts of Indiana. Our specialists can be reached by phone at 1-844-385-9367 or get an online quote to learn more about how we can help!